Jakarta, April 29th 2015 â€“ Archipelago International, Indonesiaâ€™s fastest growing hotel group, has recently celebrated the grand opening of its 100th hotel in Indonesia - the new Aston Anyer Beach Hotel. In supporting Earth Day on April 22nd, Aston Anyer has donated 30 trees through Perum Perhutani to be planted at Anyerâ€™s local conservation area. The trees were named after the media who attended Grand Opening event. Anyer is a small town situated on the edge of the Sunda Strait, Cilegon â€“ Banten Indonesia. It has become one of the most popular destinations for both business and pleasure among Jakarta and West Javaâ€™s residents thanks to its convenient location 50km from the port of Merak and within close proximity to Cilegon â€“ a major coastal industrial city famous for its thriving factories and trading opportunities. For business travelers, the hotel presents high-end MICE facilities including a modern conference center with three auxiliary meeting rooms purposefully built on the top floor to soak up the beautiful ocean views. Complete with an outdoor terrace, this breezy area is perfect for refreshing coffee breaks or dramatic sunset cocktail receptions. The three meeting rooms range in size, from the smallest room that can accommodate up to 85 people, through to the largest room than can hold up to 400 guests. Each of the meeting rooms also include their own partitions, which means they can be divided into three smaller rooms for more intimate meetings, or opened up for larger MICE events and other social gatherings. Enable your business with our fast internet broadband available throughout the hotel area with the speeds up to 100Mpbs. The hotel also features a cozy all-day dining restaurant for casual meetings or a relaxed meal, together with recreational facilities for downtime including an outdoor swimming pool, a private beach, a pool table and ping pong table, a bonfire pit and a full service spa. Featuring under water sound system, leisure seeker will now able to enjoy the music while self-pampering in the pool area. The hotel also features a cozy all-day dining restaurant for casual meetings or a relaxed meal, together with recreational facilities for downtime including an outdoor swimming pool, a private beach, a pool table and ping pong table, a bonfire pit and a full service spa. The hotel is set to become a prime choice for business travelers to the area when considering the nearby industrial and commercial land in Cilegon. Among the factories in Cilegon are Krakatau Steel Company, a vital producer of steel for domestic and foreign needs, and Asahimas Chemical Company. Unsurprisingly, Cilegon has garnered the nickname "Steel City" since it is the largest steel producer in Southeast Asia, producing around 6 million tons of steel each year and drawing in a large business market. â€œAston Anyer aims to become the areaâ€™s best in class hotel, as it affords a number of facilities and amenities that arenâ€™t typically found in this area. The hotel will cater to both leisure and business travelers, since many families escape the big city to the Anyer coastline for the weekend, whilst business guests often schedule mid-week conferences. Aston Anyer has already established itself on the radar of business travelers flocking to the bustling industrial city of Cilegon, and we are delighted to be offering Aston Anyer Beach Hotel as a MICE destination to cater to this market.â€ Said Ms. Tenaiya Brookfield â€“ VP of Sales & Marketing of Archipelago International. 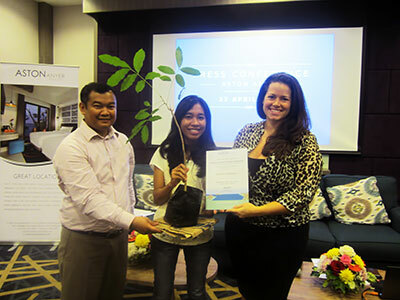 Seen in the image from left to right : Mr. Doddy Fathurahman as General Manager Aston Anyer Beach Hotel, Ms. Jessica as one of the media representatives, and Ms. Tenaiya Brookfield as VP Sales & Marketing Archipelago International during the symbolic submission for tree plantation at Anyerâ€™s local conservation area. 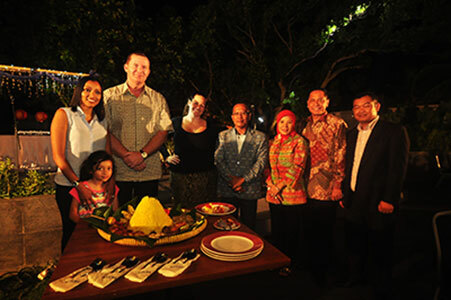 Seen in the image from left to right : Mr. John Flood as President & CEO Archipelago International and family, Ms. Tenaiya Brookfield as VP of Sales & Marketing Archipelago International, Mr. Babay Ahlan as Head of Subsdistrict Cinangka Area and wife, Mr. Heru Purwono as VP Finance Archipelago International and Mr. Doddy Fathurahman as General Manager Aston Anyer Beach Hotel during rice cone cutting ceremony.